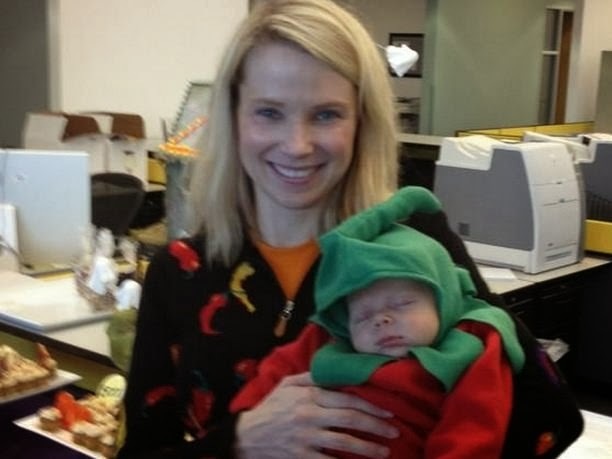 Marissa had a baby two or three months into her role as Yahoo! CEO. Who says you can't combine both? I just re-read (not sure if this is the second or third time) Business Insider’s “Unauthorized Biography of Marissa Mayer”. For the uninitiated, Marissa is the stunningly beautiful woman who spent thirteen years working through the ranks at Google – then moved to Yahoo! to become its CEO. One thought kept popping up right “in my face” that I’d like to share… Life and career – are marathons; not sprints. They’re not the kind of race that can be run using the tactics that people like Bolt and Ashafa Powell embody. If you try to sprint through a marathon, you will burn out! Keep your head up, and lean in. Put your shoulders to the load, and push… Slog through the ten, fifteen, or twenty years…and one day, you’re going to be an “overnight success”. P&G has perfected the art of making TV copies that are sooooooo emotional! It's no secret that I'm a big fan of Mothers (mine, and God willing - the mother of my own kids), and this was such a touching video to watch!!! May this be for you a year of upgrade, and may you move forward and upwards on all fronts.